Found in nearly every municipality across the country, multifamily communities offer housing to millions of people from all walks of life. While every community is unique, each shares a need for effective key security. The ability to track key activity is critical for maintaining a high level of security and reducing the chance of premises security liability. Designed as a replacement for manual tracking and storage of keys, electronic key control systems are virtually tamper-proof, monitor the access and return of keys through various online reporting features, and offer biometric integration options for improved security. 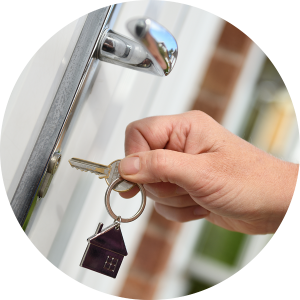 With HandyTrac’s electronic key security systems, property managers can see who pulled a key, for what purpose, when it was pulled, for how long, and when it was returned from any interned-enabled device. For over 20 years HandyTrac has been the low-cost leader in multifamily, student and military housing key security; managing keys for more than 3,000,000 apartment homes throughout the country. Our cloud based systems offer instant access to archived reports and provide the ability to manage community keys with a single login through a computer or smart phone. To learn more about our key security systems, contact us today.